Our 32 oz. 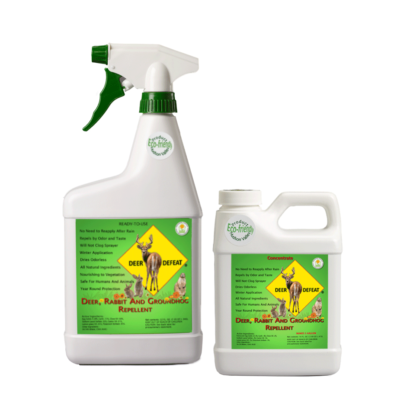 Ready To Use all natural deer, rabbit and groundhog repellent is lightweight and easy to use. It is a great option for those with smaller or less numerous flower beds, a small garden, or individual pots or plantings that need protection. Covers 500 square feet. 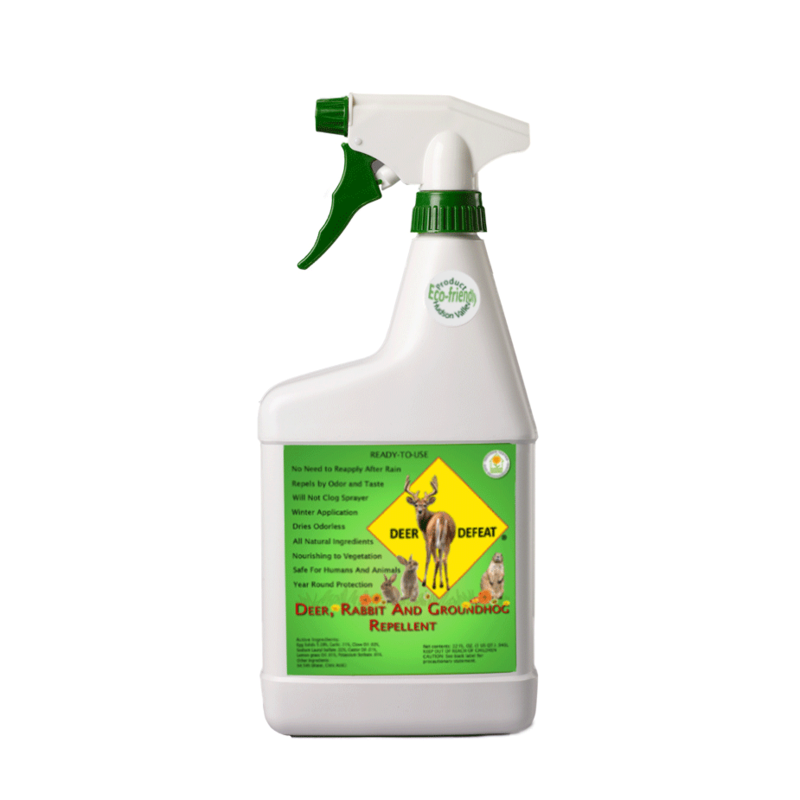 32 ounce trigger spray bottle with adjustable nozzle.